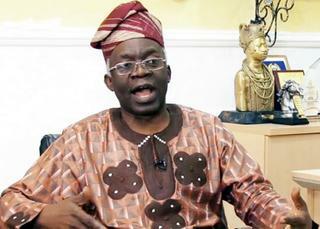 Human rights activist, Mr. Femi Falana, on Wednesday criticised the Federal Government under President Muhammadu Buhari and former President Goodluck Jonathan for abandoning the panel reports to make the Independent National Electoral Commission truly autonomous and free from political interference. Falana said it was doubtful if the country would have credible elections in 2019, because there is little or no public trust in the commission. The Senior Advocate of Nigeria stated these in Abuja, in his keynote address at the annual general meeting and conference of the Nigerian Institute of Public Relations. Falana said the 2019 elections would be a mere ritual if elected officials who betrayed the public trust were not voted out of office. He said, “On the credibility of our elections, former President Musa Yar’Adua was very honest in 2007 when he declared that the election that brought him to power was flawed. “He therefore set up a judicial commission of inquiry headed by Justice Muhammed Uwais, who later became the Chief Justice of Nigeria. “Former President Goodluck Jonathan also set up another inquiry headed by Alhaji Ahmed Lemu. Both panels recommended at different times that to have credible elections in our country, the chair and members of INEC shall be appointed by advertisement with conditions set up. People will apply and whoever qualifies shall be appointed.